Early on in life, I was fascinated with all things related to science. I was lucky that my mother, a biology major in college, engaged us in experiments at home, trips to science museums and ordering magazines. My fifth grade teacher was also a HUGE science buff. He spurred not only my desire to do bigger and better science fair projects, but to become a teacher. For months now, TechyDad and I have been looking for just the right magazine for our son. NHL just turned 7 and is always asking questions about the world around him. He wants to know why items look the way they do and how machines work. 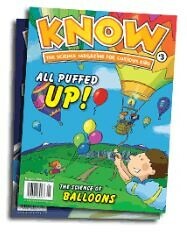 When Mom Central introduced me to a new science magazine for children called KNOW (A Mad Science Publication), I immediately signed up for the blog tour. The teacher in me wanted to see this new and fun looking resource for elementary ages children. Geared to children 6 to 9, KNOW Magazine provides kids with age-appropriate articles, fun science and technology facts, games, puzzles, and experiments. With six issues per year all free of outside advertising, the magazine covers everything from dinosaurs and animals, to the solar system and the human body to keep kids engaged year-round. 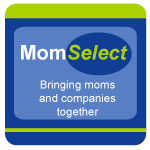 The magazine’s educational focus combines learning and entertainment in a way Moms can feel good about. Right now, the publishers of KNOW magazine are allowing people to download a free copy of the September/October issue of the magazine. You can obtain your own copy, like I did, from their website. A one year subscription (6 issues) can be purchased for $26, and for older children there is also YES Mag. 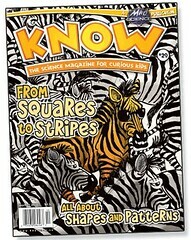 As a parent and teacher, I adored exploring the free copy of KNOW magazine with my son. We were both drawn to the article about the glass frog. NHL and I both liked the crisp, detailed photos with this and other articles. Too many times, children’s magazine have less than average pictures. The Shapes and Patterns issue was chock full of information that was developmentally appropriate for children in the target 6-9 year audience. The featured theme section about A World of Shape and Pattern had a wealth of information. Rather than explain it, I encourage you to download the magazine yourself to learn about stripes, spots, fractals and even Fibonacci! NHL has asked to read more of the magazine together and is curious what will be in the November/December issue that we will be receiving down the road. Another nice item to note, KNOW magazine is not filled with constant ads for toys and other items. Children do reviews of science related books, but only a small page is sectioned off to introduce people to products and classes from Mad Science. The magazine is interactive and allows children to help out with monthly projects like "Comic Captions" within the publication. Some of the articles may be short, but they are a great diving point to encourage children to research more about topics that they are interested in, while exposing them to many new and wonderful science related items. Disclosure: I wrote this review while participating in a blog tour campaign by Mom Central on behalf of Mad Science and received the products necessary to facilitate my review. In addition to this, I received a gift certificate to thank me for taking the time to participate. 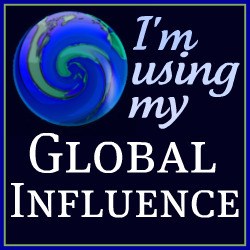 All opinions are 100% mine and in no way influenced. Ooh, sounds great! I’ll try to keep this in mind for when my son gets older.